Dance is a fun activity, a general language that can be used to express emotions and feelings. Everybody loves to dance. The kids in particular love to participate in activities that have to do with excitement and fun other than school words and course books. A good example is dancing. 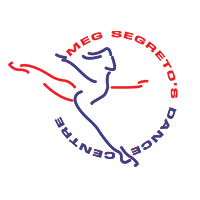 However for them to learn and enjoy dancing to its fullest, it pays to enroll your kids in dance class at Meg Segreto’s Dance Centre Studio in Davie, Florida serving Fort Lauderdale, Plantation, and surrounding areas of Broward County. Dance classes are a great way to help kids learn the basics of dancing and to work out some energy. They offer kids the needed instructions that will expose the hidden talents in them. And with the acquired dancing skills, they can become a smashing hit on the dance floors. Dance classes bring the kids close to different cultures, encourage making new friends, and are also a great way to introduce your child to new types of music. The kids can try everything from the conventional ballet, modern dance, tap dance, jazz dance, salsa, lyrical ballet to ethnic dancing among many others. Psychologically, enrolling your child in a dance class helps to improve self-discipline, self-confidence, coordination, self-development as well as helping the kids to socialize. Dancing is healthy: The various dance steps that are taught in dance classes keep kids on their toes and become a good exercise. This physical activity works on the entire body parts, keeps the mind active and the children involved dancing are able to perform better academically. You save some free time: Children generally keep their parents engaged with one or more chores. Therefore, enrolling your child in a dance class will keep them occupied after school saving you hours daily to complete pending tasks, relax, read a book among many others. Before you enroll your child in any dance class in Plantation, Davie, or Fort Lauderdale, it is important you consider the qualifications of the instructors and other factors like the training facilities available, safety and traveling time. You should also consider the training cost, plus costumes and accessories you will need to get for your child. Dancing makes your child appreciate their body. If you are looking for a dance studio in South Florida with a specialty in dance classes just for all ages, do not hesitate to contact us here.